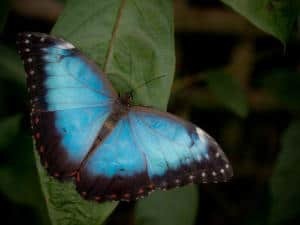 Many of us will never get the chance to see the exotic butterflies of Papua New Guinea, Peru, Madagascar or the Philippines in person, but thanks to Audrey Botha, we do have the chance to wear their spellbinding wings around our necks. 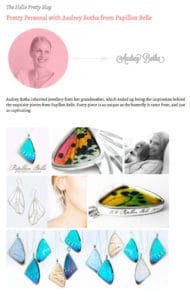 Audrey’s jewellery brand Papillon Belle immortalises the beauty of real butterfly wings, which have been sourced from sustainable breeding farms all over the world. And although these delicate creatures live for just a few days, Audrey hopes her pendants will be passed down from generation to generation. The idea for this range was sparked when Audrey inherited two antique brooches made with real butterfly wings from her grandmother. 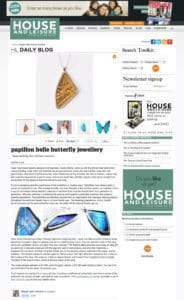 Her pendants are a contemporary take on these family heirlooms, incorporating a silver frame with a butterfly wing pressed between either glass or Perspex. Each butterfly is ethically sourced from a breeding farm across the globe. Audrey says these farms not only lessen the destruction of the rainforests but also help support local employment in third-world countries. A graphic designer and illustrator by day, Audrey is a visual creative who incorporated butterflies into her work long before Papillon Belle started at the beginning of this year. As a teen, she would work found butterfly wings into her artworks and later made butterfly hairclips from encyclopedia illustrations that were fervently snapped up by YDE shoppers. Audrey doesn’t have a jewellery design background, but these immaculately made pendants would say otherwise. Each wing is individually assessed and, through a team of experts, carefully inserted into the glass or Perspex and then into the silver. The real magic happens, says Audrey, when light hits the wings. “It’s almost like they’re alive inside,” she says. The iridescent quality of the wing shines through in the amazing colours and patterns each one possesses – from bright blues and deep reds to psychedelic splotches of luminous green. 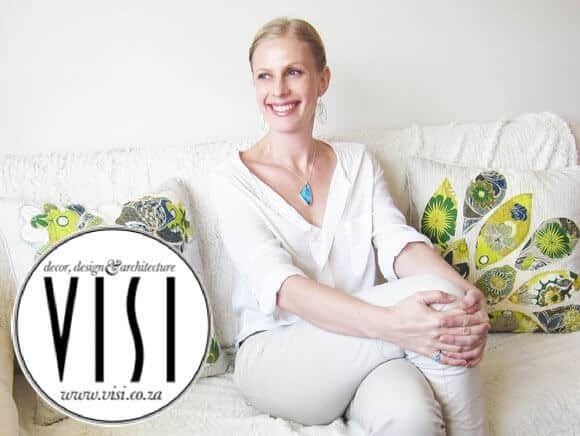 The pendants are a hit wherever they’re displayed, be it the Design Indaba or Papillon Belle’s online store, which receives hits from around the world. The pendants are now also stocked at Spilhaus stores in Johannesburg, Pretoria and Cape Town.